There are different ways to go about cooking ribs, and the methods you choose can make a huge difference when it comes to determining which specific flavors your finished ribs will feature. Many are big fans of cooking ribs on the grill and when you get the chance to taste that succulent meat combined with that pleasantly crisp crust, you will understand where they are coming from. Others prefer to smoke their racks of ribs, and going with this particular cooking method results in the meat retaining a smoky flavor that many people crave. There are also folks who prefer to cook their ribs in the oven to get delicious meat without having to spend time tending to a grill. The reality is there is no one “correct” way to cook your ribs, but is there a better method? Could there be an easier way to prepare flavorful and tender ribs that is not widely known just yet? 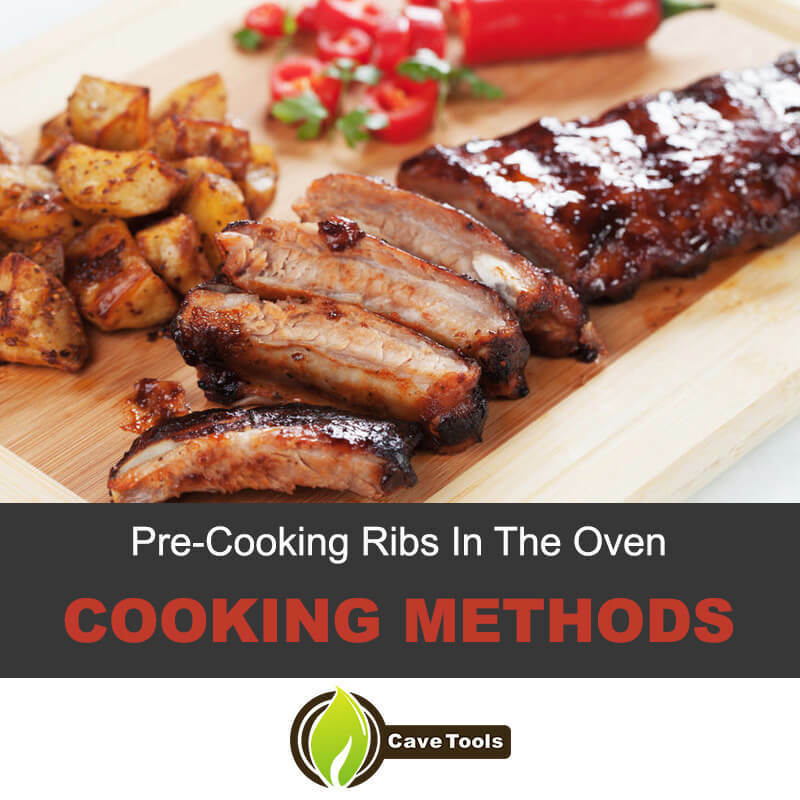 In this article, we will take a closer look at different ways to cook ribs. 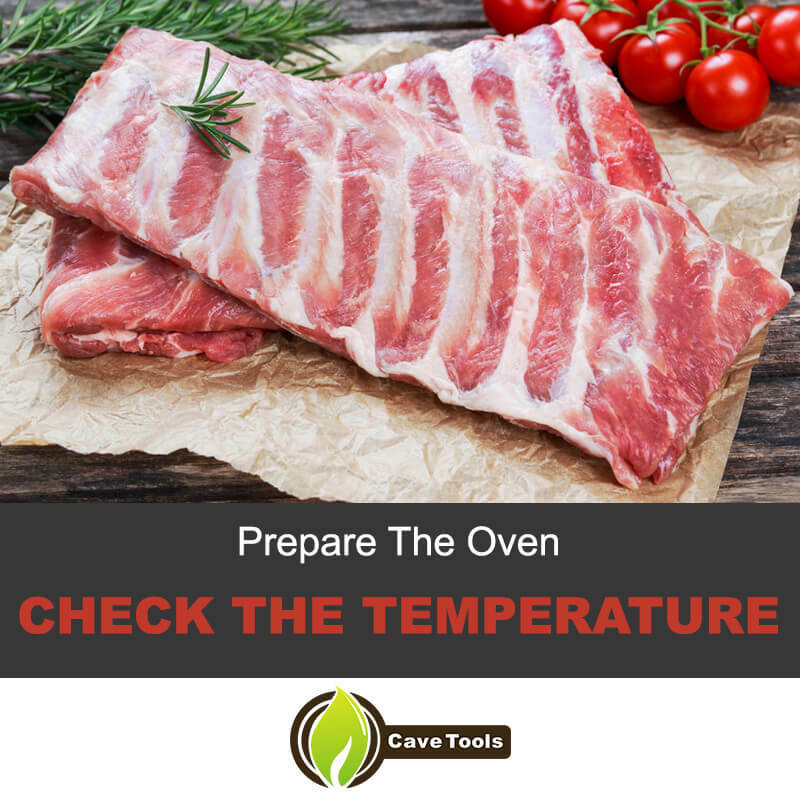 To be more specific, we will examine how pre cooking your ribs in the oven will impact the final product you present to friends and family members at the dinner/lunch table and then we’ll dive deeper into other cooking methods as well. Here is your best ribs recipe! We are going to try out three different methods of preparing the ribs, but all of them will involve pre-cooking at some point. Oven – Obviously, you’ll need this, and also make sure that no one else is thinking about using it for the rest of the day because you may end up needing it for a while. Oven pan – Nothing fancy is needed here, but you will want a larger one to hold the ribs and the other ingredients you will be using. Aluminum foil – This will be utilized in a few ways over the course of the pre-cooking process, so make sure to have plenty on hand. Smoker – One of the cooking methods that will be included in this article will involve smoking the ribs. Grill – You can make use of this in one of the cooking methods that are listed below if you are so inclined. Rack of Ribs – For this article, we are going to be cooking pork ribs. It’s up to you to decide how fatty you want them to be. A braising liquid of some kind – Several options are possible here. You can go with apple juice for that additional bit of sweetness, or maybe your favorite beer if you want to create more depth of flavor. If you prefer the flavor of the meat to remain as pure as possible, then water will work fine. Spices or Dry Rub – Once again, let your preferences guide you here. Garlic powder and onion powder are always nice for bringing those familiar flavors into the mix, and if you want some extra smokiness, go with some paprika or cumin. Heat lovers may also include cayenne pepper or chili powder if they like. Lastly, don’t forget ​the kosher salt and black pepper as they are crucial to making any piece of meat taste wonderful. Ketchup – This will give the sauce that bit of tartness and appealing color. Brown sugar – Most bbq sauces feature sweet notes of some kind. Some kind of vinegar – This is necessary for balancing out the sweetness. Chili powder – Again, just use this if you want some heat. To pre-cook your ribs, you will first want to prepare your oven pan. Go ahead and pour your braising liquid of choice into it, making sure to cover the bottom of the pan completely. Scrunch up some aluminum foil into balls and then line them over the bottom of the pan. The aluminum foil balls are needed for lifting your ribs over the pan and making sure the meat does not touch the liquid. 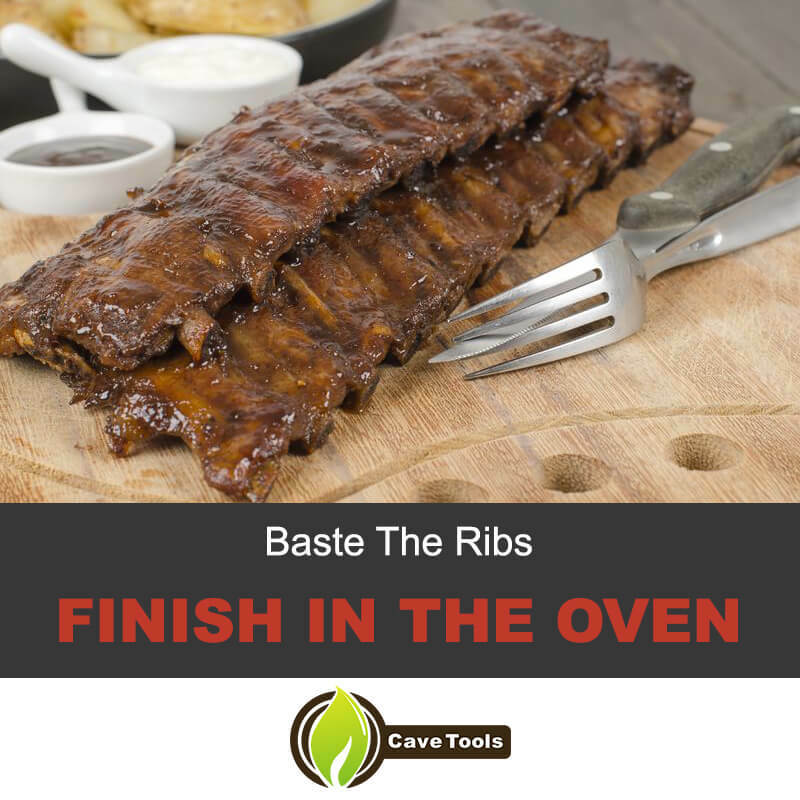 ​Preheat oven up to 350 degrees Fahrenheit to start and place the oven pan with the ribs inside. After 15 minutes have passed, drop the temperature down to 225 degrees Fahrenheit and then let the ribs pre-cook for an hour. Your goal with this pre-cooking process is to make tender meat. After the pre-cooking process, you can continue in one of three ways. If your plan is to continue to bake, you can turn the temperature up a bit to 250 degrees Fahrenheit and then let them go for about another hour or two. To keep the meat moist, you can baste it with a flavorful liquid of your choosing. As soon as you notice the meat starting to fall away from the bone, baste the ribs. You can use your barbeque sauce mixture for this. Crank the oven up to 350 degrees Fahrenheit, and remember to baste the ribs at least a few more times to make sure that they do not dry out. By finishing the ribs in the oven, you will give them a nice, crisp crust that will provide contrast to the juicy meat. Also, if you are busy doing other things and don’t have the time to keep watch over a smoker, this method may prove easier to follow. Smoke flavor is something many people want to have present in their barbeque, and if you are one of them, you can take the pre-cooked meat and place them inside a smoker. What you can do at this point is to put the ribs in a smoker and then finish them off in the oven. Smoke the ribs for 3 hours, but because you have already pre-cooked them, you can cut down on that time. When you are finishing the ribs in the oven, don’t let them stay in there for too long as well. At this point, you only want to create that crust on your meat because the ribs are probably cooked. Just make sure to keep a close eye on your ribs here because the risk of overcooking them is quite high. By using both the smoker and the oven to completely cook your ribs, you are trying to achieve the best of both worlds. If you are able to execute this cooking method properly, you should be able to enjoy ribs that feature a distinct smoky flavor that are also enveloped by a flavorful crust. The cooking process we’re going to follow here is essentially a modified version of the “3-2-1” method. Because we’ve already pre-cooked the ribs in the oven, we don’t really need to follow the “3” step of the “3-2-1” method and we can just move straight to the next one instead. According to the Barbeque Bible, the step you need to focus on now involves wrapping the ribs up in foil together with a liquid. Go with the liquid you want here. After preparing your rib packet, you can now place them on top of the grill and grill ribs for 2 hours. Now, it is worth noting here that you don’t actually have to use the grill. If you wanted to, you can just as easily place the foil package inside an oven. But you can definitely use a gas grill or a charcoal grill if that's your thing. Once the 2 hours have passed, you can take the ribs out of the foil, but you’re not done just yet. The last step of this method is to let the ribs cook for another hour. If you are already using the grill, you can sear the surface of the ribs to create those visually appealing grill marks. Also, don’t forget to baste the ribs every now and then to keep them moist as you near the end of the process. 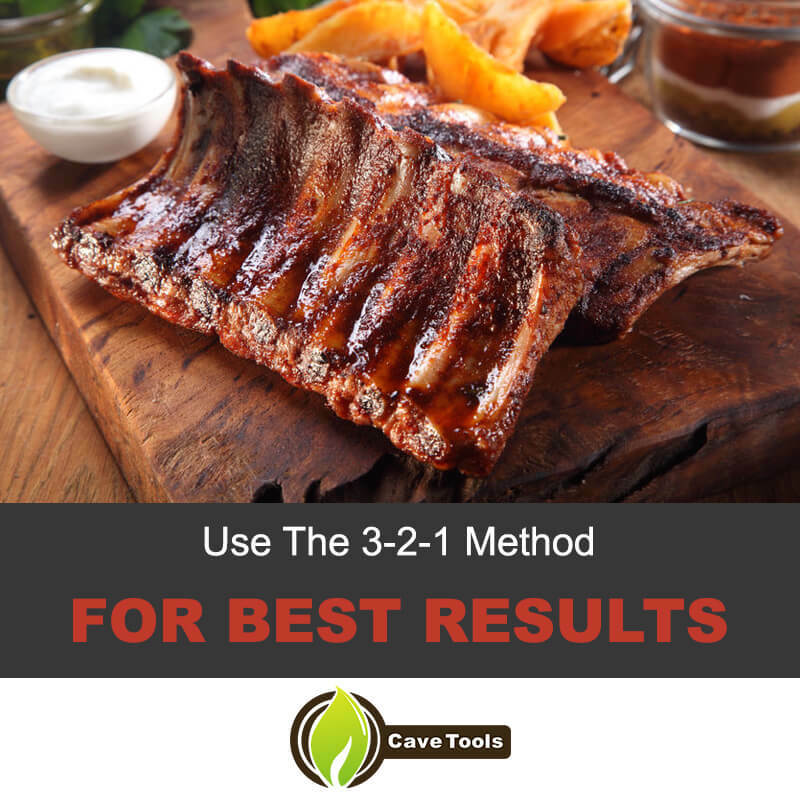 ​By using the grill to complete the modified “3-2-1” method, you can make your ribs look more spectacular when it comes time to serve them. Hopefully, you now have a better idea of how to best prepare ribs according to your preferences as well as how to make the adjustments necessary if you want to pre-cook the meat first. Experimentation is always something you should not shy away from whenever you are cooking, and that holds true whether you’re just whipping up some scrambled eggs or preparing ribs. Were the tips included in this article helpful? If they were, feel free to share this article with your friends and family members, and maybe they too will discover the benefits of pre-cooking and experimenting with ribs. Also, go ahead and share your thoughts on the article below, and let us know about any other tips you have that may help others cook their ribs better. ​Should You Cook Ribs in the Oven Before Grilling Them? ​The answer to this question is it’s up to personal preference. There are a number of different ways to cook ribs, from cooking them 100 percent in the oven to using a smoker. Many people enjoy pre cooking their ribs in the oven to make sure they’re as tender as possible. Then, they toss them onto the grill to get that nice charred look and smoky flavor. It’s up to you whether you want to do it this way! ​What Kind of Ribs Are Best? ​There are a few different types of ribs. You’ll find pork spare ribs, which come from the belly area of the pig; St. Louis Style ribs, which are the same as spare ribs but they’re trimmed into a rectangular shape; and Baby Back ribs, which are ​taken from the back area of the pig. Some ribs are fattier and meatier than others, so the best kind of ribs are the ones you are most in the mood for! ​How Long Do You Cook Pre Cooked Ribs in the Oven? ​Most people pre cook ribs for about an hour in the oven. That’s just long enough to cook the meat through, tenderizing the tough meat and turning it into tender, juicy bites. At that point, you can choose to turn up the oven temperature and finish cooking the ribs in the oven, or you can transfer them to the grill or smoker. ​How Do You Make Fall Off the Bone Ribs? ​Making fall-off-the-bone-tender ribs is all about cooking the ribs at the proper temperatures. Pre cooking ribs in the oven is a great way to achieve that! The low-and-slow temperature of 225 degrees F will coax out all the juicy flavor from the ribs, and after a few hours they’ll be so tender they’ll practically fall off the bone when you eat them! ​What’s the Best Temperature to Reheat Ribs in the Oven? ​Reheating ribs is tricky. You don’t want to heat them too quickly, which can cause the meat to shrink and become tough. But, you don’t want it to take forever, either! The best way to go about it is to slather them in barbecue sauce, wrap them in foil, and heat them in a 250 degree F oven until they’re warmed through, for about an hour.